Michael A. Fenton, 57, of Enfield, passed away Monday, July 16, 2018 of a sudden illness at home. He was born on July 20, 1960 a son of John F. and Maryanna Clapper Fenton. He graduated from Zanesville High School, Class of 1978 and Muskingum College in 1982. 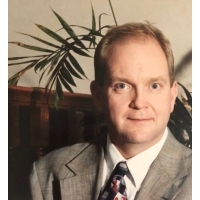 Michael was a member of the Hazardville United Methodist Church in Enfield, CT. Michael’s career as a project manager in fossil fuels energy took him to Connecticut in 1992. He will be remembered as a loving father who enjoyed spending time with his family, and coaching his children, and many other children, in the many sports in which they participated throughout their childhood. He was a sports enthusiast and enjoyed watching his Ohio teams, especially the Buckeyes, the Browns, and the Indians. Mike never met a stranger and would always lend a helping hand to those in need. He instilled his love and the value of hard work and integrity into his children, who were his proudest accomplishments. His kind humorous spirit, bigheartedness, and selflessness will be truly missed. Michael is survived by his mother: Maryanna, his children: Olivia Fenton of Somers, CT, Andrew (Jessirah Maldonado) Fenton of New Britain, CT; sister: Jane (Jon) Trent of Algonquin, IL; his sister-in-law: Mary Sue Fenton; his nieces: Ashley (Sean) Hutchison and Amy (Fred) Bills; and his nephews: John Trent and Chris (Aimee) Fenton, and several great nieces and nephews. He was preceded in death by his father, John Fenton, and loving brother and closest friend, Stephen Fenton. Friends may call 11:00-1:00 P.M on Saturday, July 28, 2018 at the Bryan and Hardwick Funeral Home, where funeral service will be held at 1:00 P.M. with Rev. Mark Chow officiating. Burial will conclude at Zanesville Memorial Park. In lieu of flowers, the family would like donations be made in Michael’s memory to the choice of the donor or to the American Diabetes Association, 2451 Crystal Drive, Suite 900, Arlington, VA 22202. The Bryan & Hardwick Funeral Home, 2318 Maple Ave. Zanesville is in charge of the arrangements. To share memories and condolences with Michael's Family click on the Tribute Wall tab on this page.